Welcome to the Young Adult Division of the Jewish Federation of Southern New Jersey! For young adults in their 20s, 30s, and 40s. 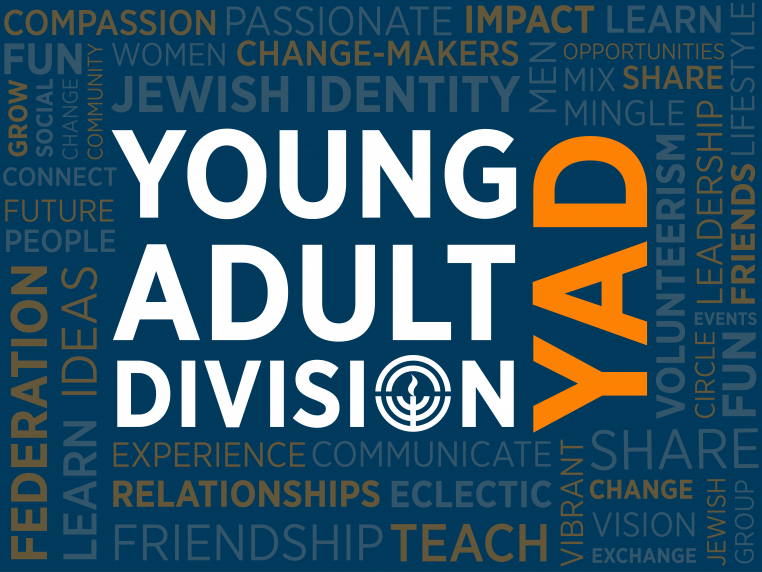 The Jewish Federation’s Young Adult Division (YAD) is a group for young change-makers who want to help shape the future of our South Jersey Jewish community. With opportunities to strengthen their Jewish identity, network, and make new friends along the way, this group is perfect for young adults who want to deepen their connection with their community. Check out our facebook page or join our email list to stay in touch. Brought to us by the Israeli Ministry of Diaspora Affairs through the OTS Amiel Bakehilaspeaker series and the Katz Jewish Community Center. Jews and Brews is funded in part by the Jewish Community Foundation, Inc.
Jews and Brews is funded in part by the Jewish Community Foundation, Inc. Looking to get involved in YAD's leadership? Join one of our committees by emailing Yad@jfedsnj.org! Young professionals in their 20s-40s had an evening of informal conversation and brews. Jews and Brews is funded in part by the Jewish Community Foundation, Inc.
November: Israel to Silicon Valley: Why Israel is the Start Up Nation, with our new community shaliach, Arkady Hasidovich. Keep calm and phonathon! YAD made calls and texted donors for donations to JFund - helping those in need locally and around the globe. YAD joined a group of change-makers for a behind-the-scenes tour of the Jewish Federation family on December 5, exploring our five Areas of Impact: Older Adults, Special Needs, Global Connections, Community Engagement, and Family & Youth. 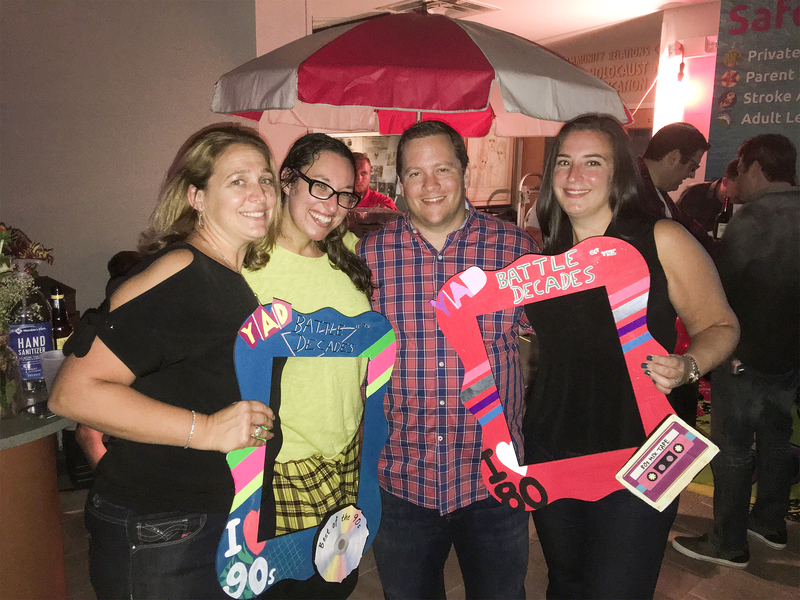 We had a blast rocking out to the best of the 80s and 90s. The Dylan McGuire Rock Band kept us dancing all night long. Congratulations to Social Chair, Nicole Berk, and her team on a great evening! Hosted at a local home, we had a great evening getting to know one another.